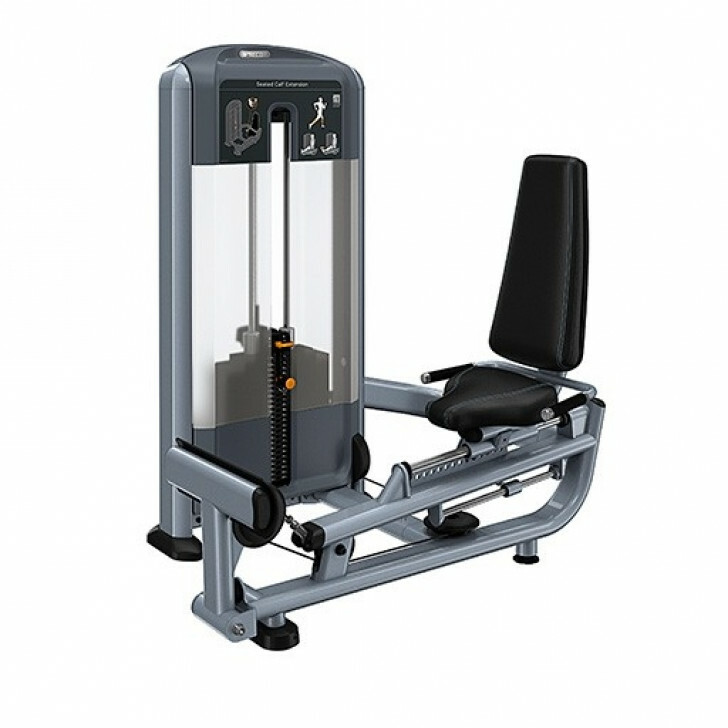 The Discovery Series Selectorized Line Seated Calf Extension allows easy access and enhanced ergonomics for a precisely targeted resistance workout for the calf muscles. The curved foot platform provides a stable and comfortable foundation throughout the complete range of motion. Features	 Multiple foot positions accommodates short and tall users without having to adjust a single foot bar.Seat assembly is angled to allow gravity to assist in adjusting.